Android upgrades simplified: Which manufacturers can you trust? A new Android release is right around the corner -- so which manufacturers can you count on to get the upgrade delivered? It's almost that time, kiddos -- time to start staring longingly at your phone and wondering when the latest Android upgrade will arrive. In case you've been living under a rock lately, Google's on the brink of launching one of its biggest-ever updates to Android: the thus-far-unnamed Android "L" release. Android "L" will introduce a whole new design language for the platform along with a revamped lock screen and plenty of fresh features. The big question, though, is when the upgrade will reach your device. Part of Android's open nature means manufacturers can modify the software however they wish -- and while that enables a diverse and option-filled ecosystem, it also means there's no universal standard for how long it takes an OS upgrade to arrive. Instead, it's up to each device-maker to process new releases and provide them (or not) to its customers. This one's easy: If you buy an unlocked Nexus device directly from Google, you're going to get fast and frequent upgrades for at least 18 months from the product's launch date. This is part of Google's promise with these devices, and the company definitely delivers: Though we've seen the occasional brief delay, unlocked Nexus phones are always among the first to receive new Android software. 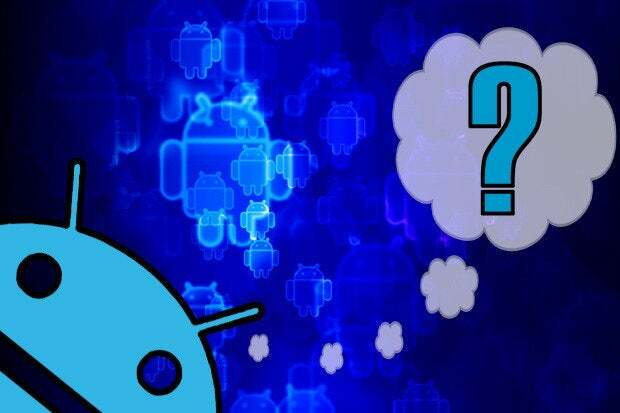 With the last major OS update -- Android 4.4, KitKat -- the Nexus 4, Nexus 7, and Nexus 10 all saw their rollouts within a month of the software's debut. That was unusually slow based on Google's typical standards, believe it or not, but it still put the software in Nexus owners' hands ahead of almost everyone else. In short: Getting a Google Nexus device is the surest way to guarantee you get Android upgrades early and often. Motorola is a real force to be reckoned with when it comes to Android upgrades these days. The company has made speedy rollouts a key part of its new strategy -- something made possible by the "stock-plus" approach used on the majority of its current phones. To wit: Moto was ridiculously fast out of the gate with KitKat, sending the software to its flagship Moto X phone less than three weeks after the update's arrival. Its lower-end Moto G, meanwhile, saw the upgrade a mere month after that. There's always going to be some variance among the carrier-connected models, of course -- which is part of why the unlocked edition of a phone is generally the most advisable option -- but with KitKat, Motorola managed to provide speedy rollouts even to phones that fell under carriers' control. One important asterisk: All of this relates to Motorola's own core products -- the phones that have "Moto" in their names. The company's Verizon-branded Droid phones are a slightly different story, as they have more UI modifications than their pure Moto cousins and are really more of Verizon flagships than Motorola flagships. Not surprisingly, then, those phones tend to be a bit behind the pure Moto devices in terms of upgrade timing, but they're still supported better than most: With KitKat, the most recent Droid phones got the software about two and a half months after its release, putting them about two months behind the main Moto devices. In short: Getting a Motorola phone is a great way to get fast and frequent updates. An unlocked Moto flagship is the best way to go, though the carrier-connected models tend to receive reasonably speedy deliveries as well. The Verizon Droid phones are a step behind the pure Moto phones but still a long way ahead of most manufacturers' devices. HTC has really done a 180 in the way it treats upgrades over the past couple of years. The company now aims for a 90-day turnaround to get major OS updates onto its flagship devices, and while it didn't quite hit that window across the board with the KitKat rollout, it did manage to do a respectable job and plant itself firmly toward the front of the pack. HTC has already publicly committed to the same 90-day target for getting Android "L" onto its flagship phones. Of note, it's also the only manufacturer that's officially committed to a full two years of upgrades for its top devices instead of the standard (and rather silly) 18-month period of support. The company excels at communication, too, and does an admirable job of keeping customers in the loop about its progress with upgrades -- something that can't be said for many Android device-makers. In short: Past warts and all, HTC's making it clear that it takes upgrades seriously these days. Timing is always going to vary based on carrier, but if you buy an HTC flagship, you should get a major OS update within a few months (give or take) of its release. Samsung may be the biggest Android device manufacturer, but it's far from being the best when it comes to upgrade reliability. The company tends to keep its customers in the dark about its upgrade plans and progress: With KitKat, for instance, Sammy stayed silent for nearly four months while its customers waited and wondered if or when they'd see the software. And when it finally decided to speak up, the info it provided was decidedly vague -- without so much as a general time frame commitment for any of its products. Samsung did eventually come through, though: It took a solid four to six months for the company to get KitKat onto most of its current flagship devices and even longer for the software to trickle down to other models, but once the ball got rolling, things slowly but surely happened. And unhurried speed aside, Samsung is usually pretty good about continuing to support older devices in addition to its current high-end lineup. In short: Samsung's not going to set any records for promptness, and it's anything but communicative -- but if you don't mind the waiting and the uncertainty, it tends to do a decent job at getting its devices upgraded. Eventually. LG is another one that tends to be pretty poky and incommunicative when it comes to OS upgrades. With KitKat, just like Samsung, the company didn't say or do anything until a full four months after the software's release. LG's flagship devices did get the upgrade eventually, but some customers waited a whopping six months to see any progress or even hear about what was going on. And as for another major OS upgrade beyond that one? Yeah...good luck. In short: At this point, you should really buy an LG device only if you're content with its current software configuration. You might get an upgrade at some point, but there's no guarantee -- and there's a good chance you'll be waiting in the dark for a very long time. Sony releases a lot of variants of its Android devices, so it's not surprising that the company struggles to keep them all up to date in any sort of timely manner. The company took nearly five months to deliver the first of its KitKat upgrades and continued to move at a turtle-like pace after that. Sony's current U.S. flagship, the Xperia Z1S, was stuck on Jelly Bean until this past August -- nine months after KitKat's release. To its credit, Sony does usually get updates out to a large number of products eventually -- but much like our last two players, timeliness is clearly not one of its priorities. In short: If you buy a Sony device, you'd better be prepared to be patient. Odds are, we'll all be talking about the next major Android update by the time you get your hands on this one. We can't say with certainty that the past will predict the future. It's always possible that a manufacturer could change its tune over time; we've certainly seen that happen before, and with Google providing early access to a pre-release build for the first time with Android "L," we might just luck out and see improvements all around. For now, though, the best metric we have to consider is how the various companies have handled upgrades over time. And based on that behavior, we can say that if you want timely and reliable ongoing software upgrades, a Google Nexus phone, Motorola Moto phone, or HTC One phone is your safest bet. No company has a perfect track record, but those three have proven that they now take upgrades seriously and make ongoing software support a high priority. Other manufacturers may get you upgrades eventually, but you're rolling the dice as to if or when that'll happen -- not to mention if or when you'll get any communication from the company about its progress. Here's what it boils down to: Android as a platform provides you with lots of choices. You can get a phone in practically any size and style you want. You can get a phone with a fingerprint scanner, front-facing stereo speakers, or a swappable battery. And you can get a phone with fast and frequent OS upgrades, too; like with those other options, you just have to choose a device that provides that feature. It's also worth noting that thanks to Google's ongoing deconstruction of Android, OS upgrades -- while still quite meaningful -- are far less significant today than they once were (and than they continue to be on other mobile platforms). In addition to Google now providing major functionality updates all throughout the year independently of OS releases, manufacturers like Motorola and HTC are following suit and updating their custom software regularly through the Play Store as well. So the OS itself is almost becoming the skeleton and central nervous system, with the bulk of the organs getting updated frequently (and much more easily) on their own. That doesn't, of course, make it right for manufacturers to keep customers in the dark for months while their flagship phones sit idle. As I've said before, we can't control what the various companies do or how much emphasis they place on timely software support -- but we can educate ourselves on how they all tend to approach Android upgrades and then make our purchasing decisions accordingly. If timely ongoing OS upgrades are important to you, all it takes is an informed decision with your purchases to avoid a frustrating surprise in the future.